Product currency selector in the admin back-end may be useful for CS-Cart owners who purchase products for stock in different currencies and want to set a price in a currency of the original purchase. For example, you, as admin, buy some products in US dollars and some in another currency - Indian rupee. 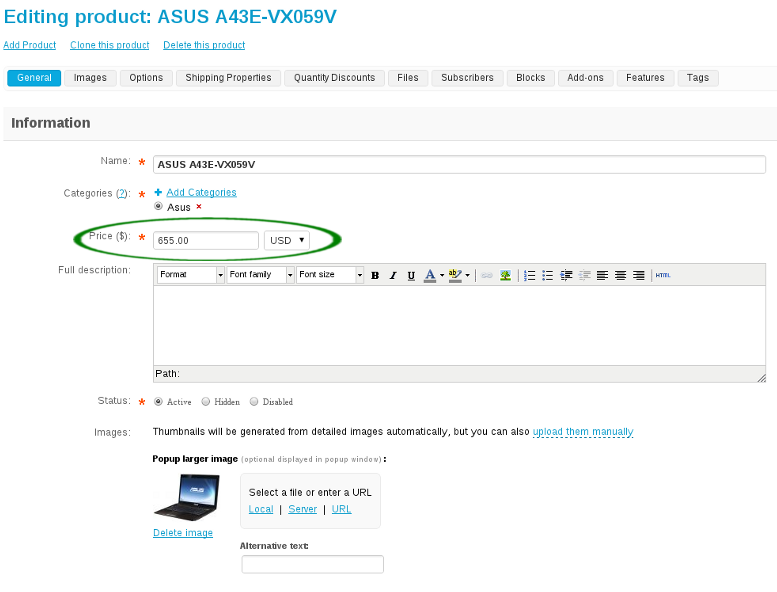 On editing product page in the admin back-end, you can enter the price and choose from a select box the necessary currency. It is made for the administrator's convenience only. In the storefront, the default functionality works. The customer can switch the currency and the recalculation of rates is done automatically. The initial cost of this modification was $300. Now we are ready to implement this modification for $120.